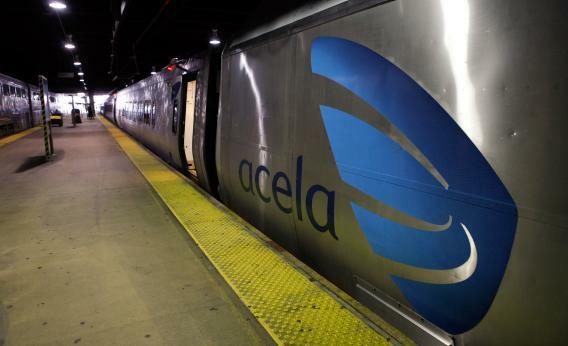 Why does the Acela have such bad Wi-Fi service? I’ve also been annoyed by this, but it’s very unclear to me what the political system can do to remedy it. For starters, Amtrak passes through a number of tunnels on this route. Another thing you might notice is that mobile service is generally better if you travel on the cheaper Northeast Regional rather than the Acela, presumably because the somewhat-less-affluent clientel isn’t using as much mobile data. And the basic problem is that, to avoid dropping calls along the route, the network has to be able to handle peak-load traffic of a whole train full of prosperous business travels at all points along the route even though any given place only rarely has that many customers in it since the train moves fast. Why don’t AT&T, Verizon, Sprint, and T-Mobile invest the kind of funds that would be necessary to deliver that level of service? Well it would cost money. And how many customers could AT&T really poach from Verizon by making this investment? The calculation they’ve made is that it’s a small number, and that calculation seems correct to me. Fundamentally, this is a weird edge case that professional political writers are unusually likely to encounter, and it doesn’t make much economic sense for the carriers to address it. I’m not sure what, if anything, a Bloomberg administration could do about it short of a politically implausible plan to tax the heartland in order to subsidize Northeast Corridor mobile phone service. By contrast, I really do wonder why it’s not worthwhile for Amtrak to invest the funds necessary to make their Wi-Fi service reliable. That would cost money, but reliable Wi-Fi service is something you could sell to train riders. If Bloomberg comes up with a plan to make this happen, I’ll consider getting behind his campaign.